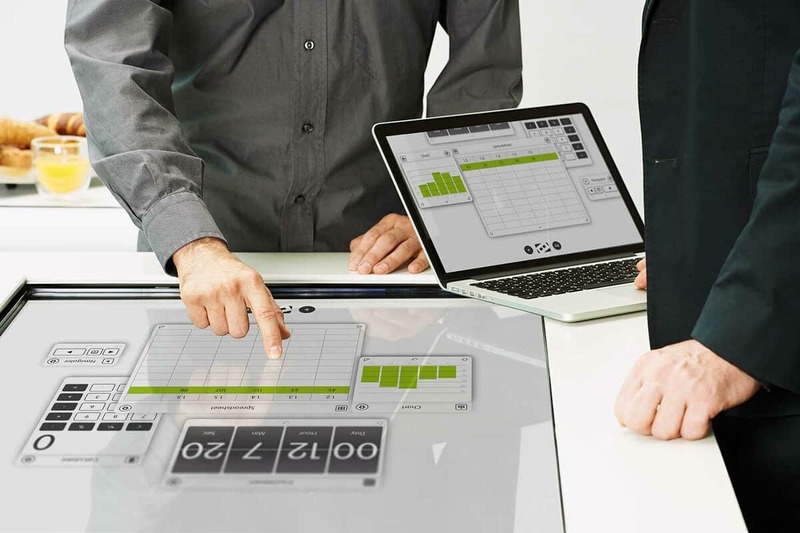 Swiss innovators Dizmo Inc. has launched its new software which turns any digital surface into an immersive platform. 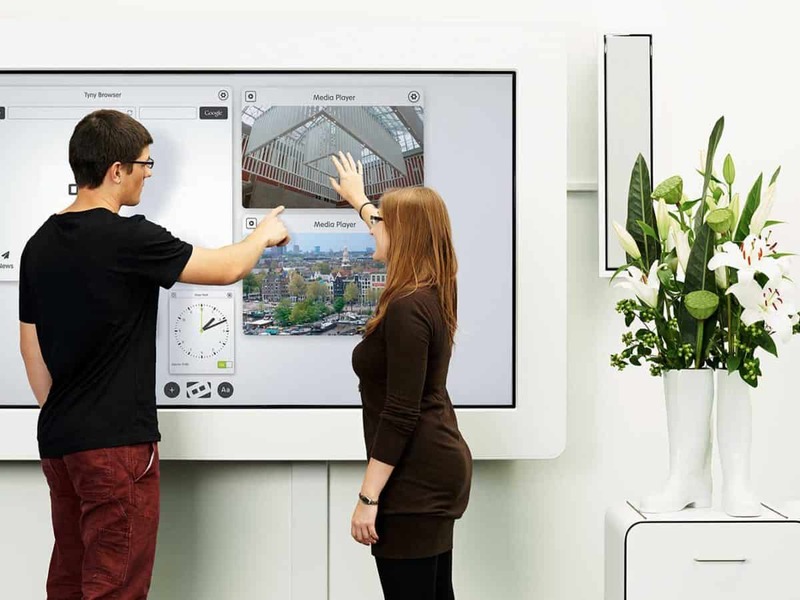 The Dizmo platform connects digital and physical objects in the home and at the workplace. Its creators claim that Dizmo breaks down traditional boundaries between device, operating systems, apps and software, transforming the way users work, play and live. It supports orchestration and collaboration in what Diszmo Inc hopes is an unparalleled way, enabling any data to instantaneously be accessed on any surface, anywhere and made interactive. Dizmo brings fantasies as seen in Sci-fi movies such as Iron Man and Minority Report, as well as in Corning’s video ‘A day made of glass’ to reality, revolutionising traditional methods of interacting with digital content and objects. Its patented software is device and OS agnostic, controllable via touch surfaces, gesture or voice activated devices, track pads and old-fashioned mice. As new digital-gizmos, or dizmos, are developed in the open community, more functions and data sources become available through Dizmo’s store. Once created, individual dizmos can be moved, rotated, resized, rescaled, overlaid, grouped, iconised, customised, shared live on other devices and with remote users. Teams can also re-synchronise work done on projects they share. Dizmos can also be linked together by putting two or more dizmos side by side, a simple process called ‘docking’. This enables them to exchange data and build new amazing functionalities. Examples of simple combinations include a temperature dizmo connected to a Philips Hue lamp, a stock exchange dizmo docked to a gauge dizmo and a currency converter or a website connected to a QR code dizmo. More complex implementations include any combination of apps, multimedia content, social networks, live web feeds and controllers of physical objects. Matthias Aebi, founder and CEO of Dizmo, commented: “The internet has opened up a new age of computing and is now entering its most exciting chapter, one of connected objects and collaboration of all things digital, visual and sensory. 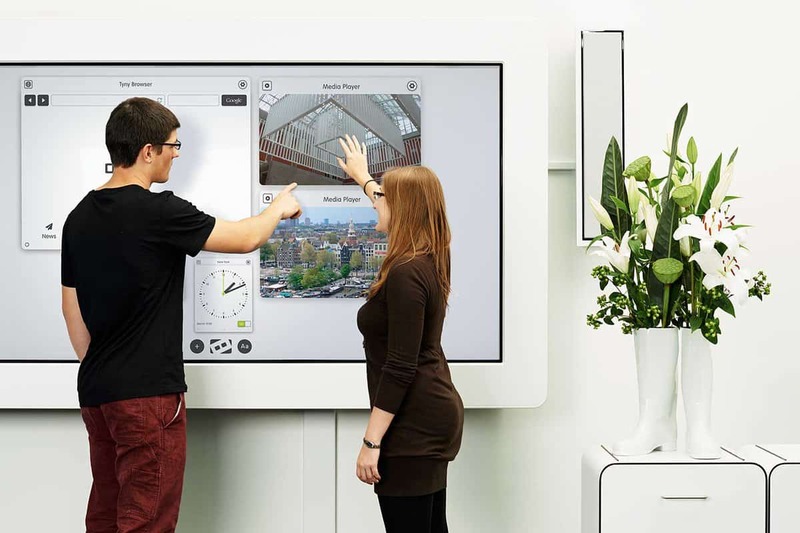 We’ve entered the age of ambient intelligence and, as Cisco phrases it the ‘Internet of Everything’. “Our vision is that the public release of Dizmo, coupled with next versions through 2015 that we are developing in our labs, will enable the realisation of the Internet of Things. This will focus on cross device and platform interoperation and creative users’ infinite whitespace, radicalising storytelling to a whole new level. Group collaboration, workflow management, sensor-based environment monitoring and control; intelligent dashboards, executive-update systems, interactive digital signage displays and story boards; media and entertainment multi-channel systems, and smart home and smart office control systems, just to mention a few. We are overwhelmed by the positive response received during these last few months from early adopters, the open community of beta-testers and industry watchers, and we are thrilled by the opportunity lying ahead of us. The year running up to our public launch has already had so many landmark events, including NBCUniversal Syfy Channel showcasing of dizmo at CES 2014, as well as our successful Kickstarter campaign and the closure of our Round A financing, all of which strengthened and validated today’s launch”.